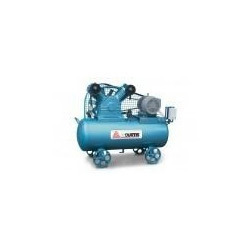 FS-Curtis, W-Series Oil Free Air Compressor is 100% oil free compressor. The W-Series is air cooled and designed with a dry crankcase for absolutely no risk of oil residue. FS-Curtis, W-Series air compressors are 100% oil free. The dry crankcase design assures no risk of oil residue carried to compression chamber. Low rotational speed for long service life, Better cooling system performance from multi stage compression, high efficiency cooling fan, compact streamline air passages on the cylinder and head, and cooling fins.